When we want to measure the economic activity of a country, we tend to reach for the gross domestic product, or GDP. This may be an imperfect measure, but it does allow us to track where the money comes from for every item bought and sold. It tells us whether we worked to earn it through wages, or whether it came from capital income – including stock dividends, rents and capital gains on assets such as housing. When it comes to the US, economists became used to the idea that the share of GDP attributable to labour income fluctuated around 60% while the remaining 40% was capital income. Then came Thomas Piketty. His 2014 book, Capital in the 21st century explained that the labour share has actually been more unstable over the past century than commonly assumed. 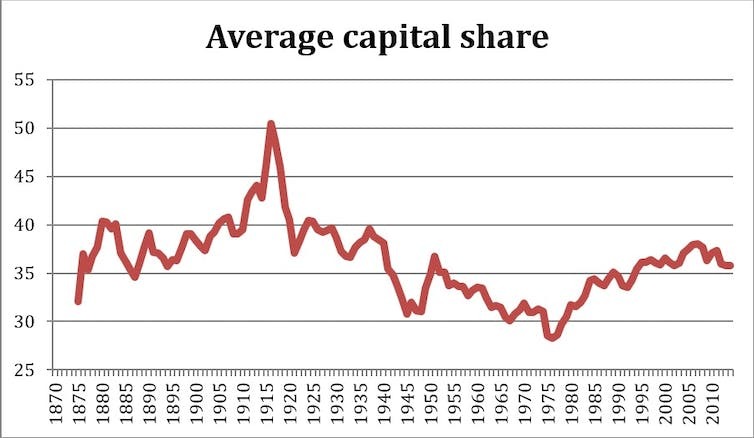 Piketty’s data also showed that the capital share has increased quite significantly at the expense of the labour share over the past three decades. Both in the US and in the UK, for example, the labour share declined from about 70% in the 1970s to about 60% in recent years. This was seized upon as it helps to explain the recent increase in wealth inequality. A large majority of the population gets most of their income almost exclusively in the form of wages. Only a few lucky ones own enough financial assets such as real estate and stocks to earn the equivalent of an annual wage. More than 80% of the stock market’s value in the US is held by the top 10%. With an average interest rate of 5%, US$1m in stocks are needed to get a return of US$50,000, which is close to the median household income. The person who can make a living from his capital income is certainly no average Joe. A look at four charts helps to show why this matters, and the impact it can have on those without the means to live on income from capital assets. The chart above shows the average capital share for 17 advanced economies from 1875 to 2012. This new dataset, based on work by Erik Bengtsson and Daniel Waldenström, includes more countries than Piketty’s original analysis. The figure confirms the same inverted U-shaped pattern, with high values for the capital share at the beginning and at end of the 20th century, that Piketty found for some major economies such as the US and the UK. He argued that three major global shocks, the two world wars and the Great Depression, led to a large reduction in wealth around the world. This destruction of capital can also explain the very low capital share in the post World War II period. The recent increase might thus simply represent a reversion towards a value that is more in line with the historic long-run average. So why is this important for workers? 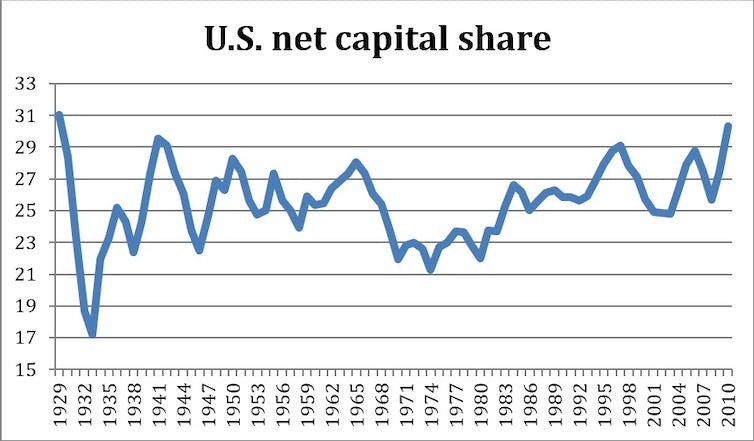 Well, the next chart shows the net capital share in the US from 1929 until 2012. Some economists argue that the net share is more relevant than the gross share if one is concerned about inequality. The net share excludes depreciation, the gradual decline in the value of physical capital such as machinery, which is normally included in the GDP figures – even though it is not an income stream to anybody. The data clearly shows the recent increase in the net capital share from a low of 22% in the early 1980s to a high of 30% in 2010. This means that an additional 8% of net national income now takes the form of capital income instead of wages. So, why is it important if capital takes a larger slice of the pie? If the economy is still growing, surely everybody must win? Well, not quite. The answer is, of course, that capital ownership is highly concentrated. The increase in the capital share effectively means that capital incomes have grown at a faster pace than wages. This leads to a more unequal society since most of the stock market and even a significant portion of real estate is owned by a wealthy few. The more money invested in assets such as property and stocks, the less available to pay workers and boost productivity. This can work out as a significant hit to the average worker. Net national income in the US was about US$48,700 per person in 2015. Had the net capital share remained at the low value of 22%, an additional US$3,900 per person would flow in the form of wages instead of capital income. This translates to an additional US$10,000 per employed person, certainly a sizeable amount of money. Some researchers, including Piketty, point out that the recent increase in the capital share is related to the rising values of real estate. The next chart shows the average value of real house prices, adjusted for inflation, for the same 17 economies from 1870 until today. 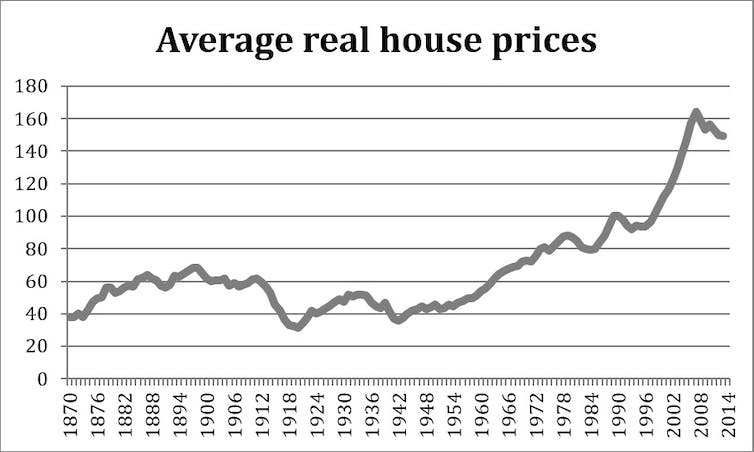 House prices stayed fairly constant for almost a century after 1870. However, over the past 50 years real house prices have more than tripled. In some countries such as Australia, they have even increased by a factor of ten over the same time period. Furthermore, these are just national averages. Big cities, including New York, London, and Stockholm, have experienced even larger increases in the value of real estate. 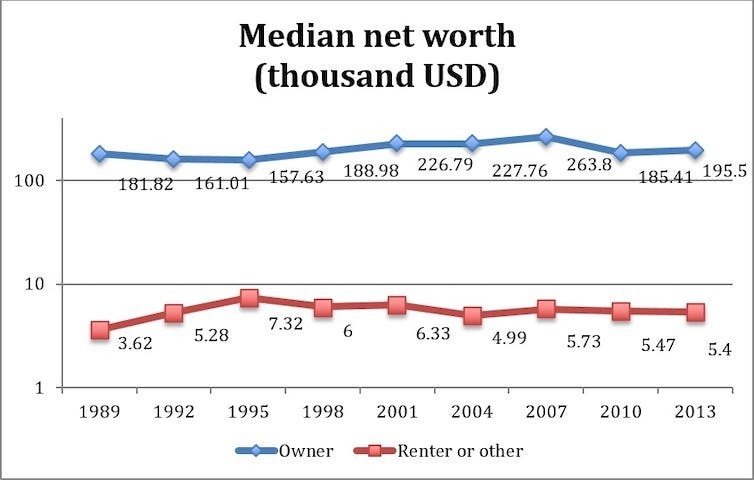 The following chart describes the impact of that and compares the median net worth of families in the US who are home owners with those who are renters. The gap widened significantly during the years of the housing boom. The net worth of home owners exceeded those of renters by a factor of about 46 in 2007. House prices have recovered from the bust in 2008 and are now as high as before the crisis. This is a challenge chock full of concerns for policy makers – especially those politicians hoping to win the votes of home owners. But rising house prices, especially in big cities, and the rise of the capital share are both trends which decisively favour asset owners over workers and which slowly chisel out a crevice between the two. Inequality could well increase much further without adequate responses from national governments. These charts should be a simple way of explaining just why things such as subsidies for housing construction in high-demand areas, easing of zoning laws, and higher taxes on capital income should be put on the table by anyone serious about reducing inequality. 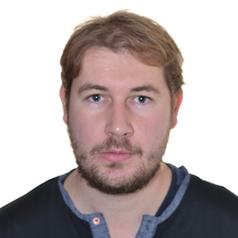 Julius Probst does not work for, consult, own shares in or receive funding from any company or organisation that would benefit from this article, and has disclosed no relevant affiliations beyond the academic appointment above.